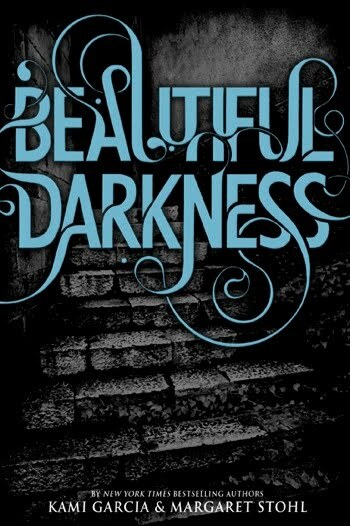 I really enjoyed Beautiful Creatures, and had huge expectation for Beautiful Darkness. There were a few things that I loved and a thing or two that I didn't. It picks right up where the last book ended. Lena and Ethan are still star crossed lovers that can't be together for obvious reasons. Lena is a Castor and Ethan isn't. I didn't feel that the characters developed as much as I would like. Lena seems to be come childlike and lost into a pit of darkness, because all that she can feel is the darkness. Ethan tries to assure her that it will passed. Instead a huge wedge is formed between them and their relationship seems to slowly crumble. This play a great part in the actions of Lena and Ethan. Link and Ridley returns and they bring in a comedic effect to the book and also both developed a lot. The Sisters, Amma, and Marian the Librarian return. Along with plenty of new characters, such as Liv, who is fantastic. There were a few characters that weren't developed as I hoped. The plot of Beautiful Darkness was full of so much information. A few times, I felt a little overwhelmed with all the information that came at one time and also the pacing was all over the place. I felt that parts of it could have been shortened, because it was so slow at times. It felt like it could have been simplified. I did like how original it was. I love the Castor world and how unique it is. I honestly can't compare it to any book. Stohl and Garcia are stunning writers. It blends so well together. I am sure that you would love this book, if you liked Beautiful Creatures. I enjoyed it despite my complaints. This book was even better than the first which second novels have a hard time doing. The story continues to be told from Ethan's point of view which in all honesty is one of my favorite things about the book. There is something so very honest and raw about Ethan. The stories begins within days of where it left off. Lena is suffering more than ever from the loss of Macon. Lena and Ethan's relationship continues to be complicated in a way that is truly authentic. There were so many times I cringed, felt embarrassed or hurt because I felt for the characters and connected to the situation. The relationships are another reason I love this series. They dynamics between Ethan and Lena are so true I think most teenagers and adults will see a part of themselves in one of the two main characters (minus the whole caster thing of course). Link is also fabulous! He and Ethan have a true friendship. The bond between them is so pure. Link clearly has Ethan's back no matter what happens and there are some serious things that happen!